Datadog is the leading service for cloud-scale monitoring. It is used by IT, operations, and development teams who build and operate applications that run on dynamic or hybrid cloud infrastructure. Start monitoring in minutes with Datadog! Why do developers choose Datadog? Why do you like Datadog? What are the cons of using Datadog? What tools integrate with Datadog? 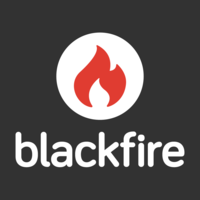 What are some alternatives to New Relic, Datadog, and Blackfire.io? We're a real-time financial services messaging company, so being able to monitor our servers and applications in real-time is important to us. We also like a good deal, so $15/server seemed a bargain. We wanted to monitor our MS infrastructure (servers, SQL) and apps (C#) to understand performance issues and be able to rectify. We also want to be able to do long-term trending. And we wanted to go from nothing to live in a short time. Installing the Datadog agent on the servers was a breeze and enabling the integrations for SQL and Windows trivial. Using the StatsD based API was also very easy - no worrying about JSON or UDP calls. The ability to add tags to all metrics is also a key benefit. We run multiple (100+) instances of a single application and being able to distinguish events from each one via tagging, or to see aggregates, is extremely useful. In all it took 2 days R&D to instrument our key applications sufficiently for production deployment. Deploying the agent to our production servers took 30 mins, giving our Ops team complete visibility for the 1st time. Since we've been live Datadog has given us numerous insights into the way our system behaves, from uneven server loadings and sporadic memory usage to performance tuning a key application that resulted in a 50% increase in throughput. Knowing what's taking the time has been a boon. The other nice surprise has been the evolving nature of Datadog. It seems like every couple of weeks there's a new feature on the site. I like the transparent pricing. Services that won't show me the price without having to talk to a sales person are really annoying. Support has been good. We've contacted them several times with questions and always had a quick response (time zone considered...we're in London) and a helpful answer. Probably the weakest aspect at the moment is the long term trending of data. Whilst you can wind the time bar back to see what happened last week you can't ask questions like "show me the peak period each day for the last x months". The "get data" API is also fairly weak. Neither are concerns at the moment, and I'm sure they're on the to-do list. I've been a systems administrator most of my career. Everywhere I went, I'd have to rebuild the same monitoring + graphing system. And then make sure that every machine wrote to that system and every application handed up the proper metrics through whatever mechanism seemed good at the time. Then, as CTO of SimpleReach, single-handedly managing over 200 servers in addition to everything else, I found Datadog. We were already using statsd to instrument our applications, now it was just a matter of getting that data to Datadog. We use Chef, so I installed the Datadog agent on every machine in about 10 minutes and we were up and running. The best part was that we had a deploy problem the next day with one of our main applications and troubleshooting took minutes instead of hours (and Datadog immediately paid for itself). Now no new features go out without instrumentation and no machine gets created without being monitored. Datadog just scales with us. Great service and I highly recommend it to anyone not looking to reinvent the wheel with monitoring and instrumentation. Datadog makes running a service with 800,000 unique users a month possible as a single developer/maintainer. I bought a separate monitor just to keep my datadog dashboards always visible and rely on triggers to keep watch over 20+ servers. We use datadog to monitor our servers and some application metrics. Easy to get started and scale to many servers. Datadog support engineers are always quick to respond to bugs and other challenges. We just started looking into Datadog, but from what we see, it's like New Relic meets Loggly. It's really easy to plugin different services (like the one on this list) and get detailed analysis of what is happening on your servers and services. It makes tracking down sparse and difficult to understand problems possible. Monitoring day-to-day operations of multiple high-performance computing assets distributed across several networks. Monitoring vendor provided data and setting up alerts when things do not show up on time. Datadog was used as an agent for monitoring and as for the statsd daemon included. This way we are able to have automated system stats and include whatever other metrics we want to track. Datadog is used because it has a great free tier and it provides us with great insights and integrations into our infrastructure and tools. Powerful all-in-one monitoring solution as a service. Good integration with AWS. Very affordable price for small-scale startups.